Open the enchanted door to Middle Earth. Listen, and relive this great epic by J. R. R. Tolkien—the story of a middle-aged hobbit who joins a band of dwarves seeking to reclaim their treasure from the dreadful dragon Smaug. Bilbo not only succeeds in this unexpected adventure, but he also discovers a treasure of his own—an incredible ring with unbelievable powers! This is the very ring that sets the stage for Tolkien's magnificent trilogy, Lord of the Rings! 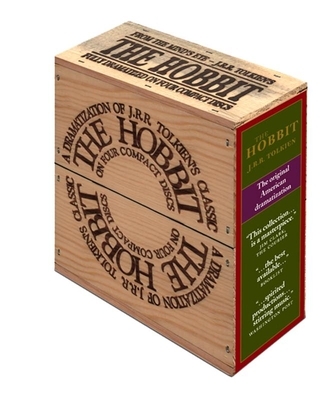 J. R. R. Tolkien's classic story comes in a handsome, wood-branded gift box. J.R.R. TOLKIEN has legions of devoted fans and is widely regarded as the father of fantasy literature. The Lord of the Rings trilogy and The Hobbit—both 20th century classics and perennial bestsellers—continue to provide the primary inspiration for today's fantasy authors. "… the best available ... "